Dimensions: 30 x 7" dia. 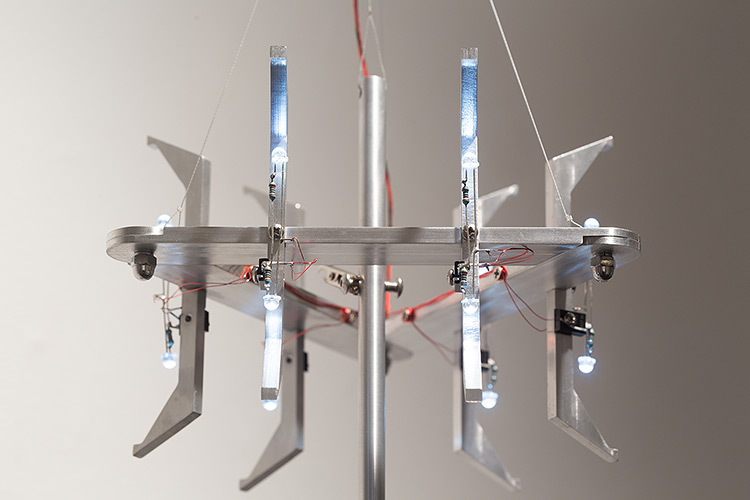 Ghost Detector is a triangular, hanging sculpture with a twelve LEDs and a conspicuous dangling antenna. It is designed for semi-permanent applications. 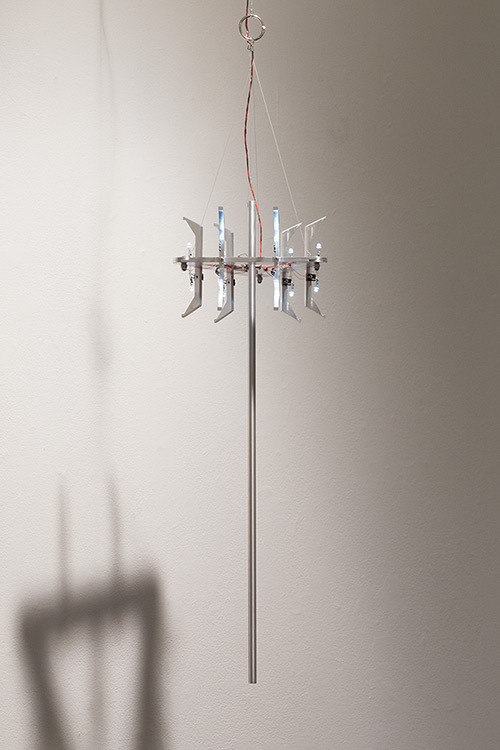 The sculpture continuously monitors the surrounding electric field for any low-frequency perturbations that might indicate the presence of ghosts. 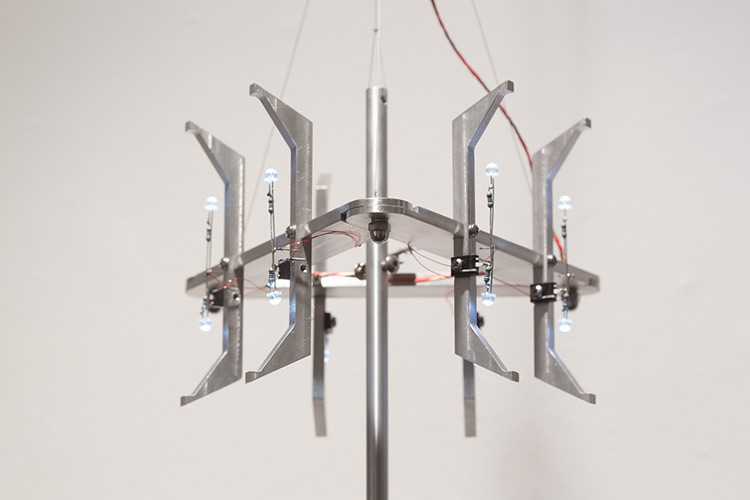 If a ghost is detected the lights strobe energetically for a period of time; otherwise the lights occasionally blink to indicate normal conditions.